Hopefully, we won't need it. But just in case we do. NASA scientists have devised a plan to take care of an asteroid that has a 1 in 2,700 chance of hitting Earth on September 21, 2135. Their solution? The asteroid, known as Bennu, is currently orbiting the Sun about 54 million miles from Earth. The 1,600-foot-wide, 74-billion-pound space object is probably not going to hit the Earth, but it’s not in the U.S. government’s nature to sit idle when a potential threat — no matter how unlikely — exists. NASA, the National Nuclear Security Administration, and two Energy Department weapons labs have come together to design spacecraft that could explode Bennu if it gets too close. According to Buzzfeed News, the Hypervelocity Asteroid Mitigation Mission for Emergency Response spacecraft, HAMMER for short, could use one of two tactics to combat an impact. If an asteroid is small enough, HAMMER would use an 8.8-ton “impactor” to smash the object. But, if the asteroid is too big, the spacecraft would instead use an on-board nuclear device to blow it up. Physicist David Dearborn from the Lawrence Livermore National Laboratory even suggested to Buzzfeed News that multiple HAMMER craft could throw themselves in front of the asteroid to slow it and change its course. 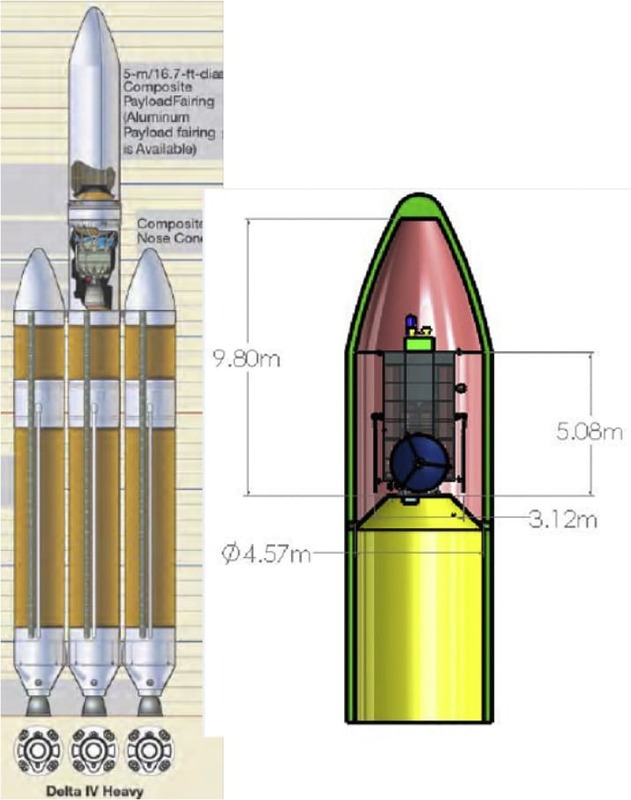 The HAMMER spacecraft (left) and launch rocket (right). Image Credit: LLNL. The idea for HAMMER came from a 2010 report published in the journal Acta Astronautica about defending our planet from near-Earth objects (NEOs). “The two realistic responses considered are the use of a spacecraft functioning as either a kinetic impactor or a nuclear explosive carrier to deflect the approaching NEO,” the report stated. Unfortunately, the spacecraft may never be built, and NASA scientists declined to give a cost estimate for the project. 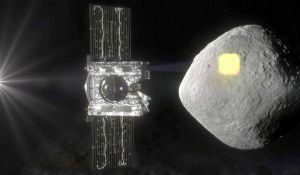 The agency’s recent OSIRIS-REx mission, already on its way to Bennu, costs upwards of $800 million — so cost is likely a serious impediment to HAMMER’s design approval. The scientists behind this design will present their work in May 2018 at the Catastrophic Disruption in the Solar System workshop in Japan. Even if NASA and its collaborators get the green light to move forward with the project, its important to remember that HAMMER has a 0.0003 percent change of hitting the Earth. Being prepared, especially if scientists are aware of the possibility of an asteroid collision, is imperative, but it’s unlikely that this asteroid will cause any sort of doomsday scenario akin to the 1998 blockbuster Armageddon. Bruce Willis and Ben Affleck will probably have to sit this one out. What Does It Take to Drive a Laser Cross-Country? A Lot, It Turns Out.